Every aspiring footballer idolises that one special player who is headlining the domestic league or leading their own team to glory and in turn tries to replicate their latest highlight reel moment on the local park and pitches. For my era when growing up and playing junior league football every time a free kick was won or lost, a familiar sequence would play out. A young boy picks up the ball and places it on the turf with both hands. He then spins the ball left and right till he’s comfortable it lies perfectly. Taller stems of grass that dare intrude his kicking motion are wiped away frantically – in many cases it’s always those blades that get the blame for a bad kick. He takes large steps back and a few smaller strides across to create an acute angle. Then a moment of composure as he eyes his target and charges up to the ball, throwing his left arm out behind him for balance. Whipping his foot around the ball and watching its flight as it curls toward its destination, the top corner of the net. Yes, David Beckham was the star of my generation and a glance at any of my playing photos show that I embraced his playing (and hair) style too. Today, most children want to be Cristiano Ronaldo or Lionel Messi. Focusing on players who have played on these shores and who the footballing hopefuls have had an opportunity to see week in, week out then it leaves us with Ronaldo. On arrival with Manchester United in 2003 he immediately shone with a dazzling array of skills and tricks but it was his spell from 2006 through to his departure in 2009 that stood out. He was unquestionably the best player in the English Premier League and in 2008 was crowned Ballon D’Or winner too. His goal scoring exploits and the threat he possesses with every touch and menacing run was unprecedented and have yet to be matched since. After I had hung up my boots on competitive football I became a qualified referee and it is through this that I have watched at first hand the impact his performances have had to players. Young footballers in particular are no longer practicing the Beckham techniques I used to. It is all about dribbling, shooting and performing skills like Cristiano Ronaldo. This is the influence Ronaldo had on football on these shores. Gone are the strict days of every team playing 4-4-2 with wide midfielders tracking back to mark opposing wingers. Instead players like Ronaldo with such devastating attacking instincts are often catered for in 4-2-3-1 and 4-3-3 formations. They are no longer relied upon for the defensive duties Beckham used to employ when doubling up with Gary Neville for United. Attacking flair is everything today and nearly 4 years after his exit, there is a new master of these arts and it is Gareth Bale. When Ronaldo was in his prime in England, Gareth Bale had just arrived at Tottenham Hotspur however things were not quite going to plan. It took a full 2 years before he was involved in a Premier League victory. Injury impacted a lot of that time but often he was featuring as a left back, not the free scoring attacking midfield role we see him in now. Indeed it wasn’t until January 2010 that he secured a first team spot on the left of midfield under Harry Redknapp. Since then his performances and statistics have improved markedly each year. In 2010/11 season he played 30 times in the league and scored 7. While in the 2011/12 campaign he featured 36 times and scored 9 goals. 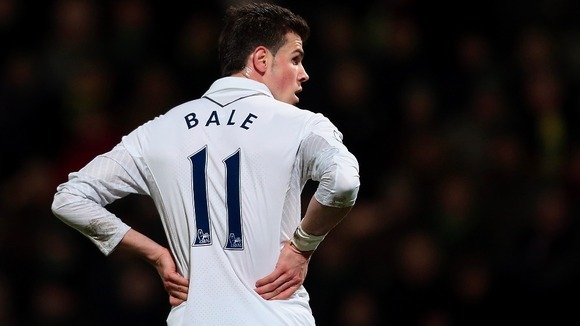 After Redknapp’s sacking at Spurs over the summer of 2012, Andre Villas-Boas was installed as the new manager and immediately sought to bring out the best of Bale as a driving force in his team. Under a license to play with more creative freedom and to freely roam from the left hand side of the pitch Bale has thrived with 15 goals in 23 Premier League games so far. And there is much more to come yet. The qualities that he describes of Ronaldo in both comments are parallel with the ones he has practised for hundreds of hours in training and perfected to create this playing style he uses to strike fear into every opposition defence. When comparing the two players, the statistics are alarmingly similar. With Bale’s advanced position it is important to identify a parallel in a game where the setups are similar. In the Champions League semi final last season for Real Madrid against Bayern Munich, Ronaldo drifted inside from the left to feature centrally but distinctly behind the striker. He scored two goals with four shots from inside the penalty box and five from outside it. Bale against Newcastle last weekend played in an identical fashion and scored two goals, four shots from inside the area and four from outside it. Both had a shot blocked in each game and each had four shots on target. The successful passing percentages read 82% for Ronaldo, 77% for Bale and both attempted eight dribbles though Bale was marginally more successful with five contrasting to Ronaldo’s three. Using this season’s performance as the subject; Bale at aged 23 now has a goal per game ratio of 0.61 (19 goals from 31) games. 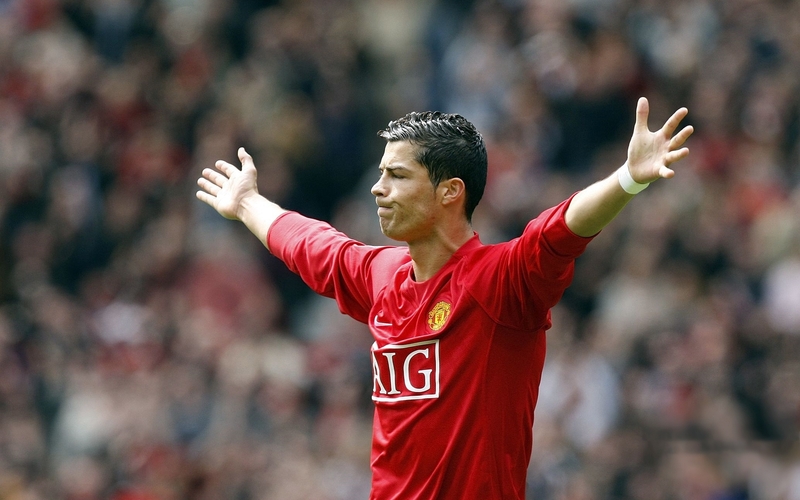 In his final term for Man Utd Ronaldo was 23 years old and he had a ratio of 0.55 (26 goals from 53 games) coming off the back of a 0.91 in the previous campaign. Of course since his arrival in Spain that ratio has often more than doubled, only once dipping below 1.18 and that was his debut campaign when 33 goals from 35 games left him with a 0.94 score. If Bale continues his upward trend as all signs suggest, having scored a ratio of 0.25 last year, then that is only great news for Spurs and Wales. It’s not just club and country that could benefit exponentially from his rise in playing level. In 10 years’ time it might just be you or I being thankful too as we watch our team triumph thanks to the next generation of footballers who are spending many hours repeating his skills and match day exploits around the parks and pitches of Great Britain today. This entry was posted in Analysis and opinion and tagged bale, david beckham, harry redknapp, man united, premier league, ronaldo, spurs, tottenham, villas-boas, wales, welsh football by Scott Jenkins. Bookmark the permalink.